It allows the Host to showcase its business, services and/or facilities to the business community. It offers Chamber members the chance to meet one another and network in a casual, relaxed atmosphere. 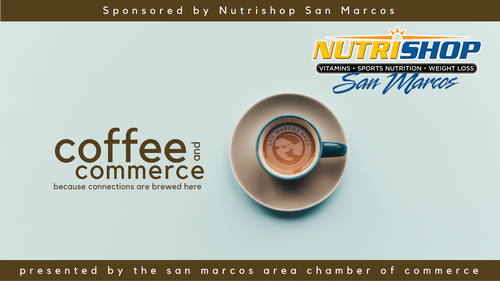 Non-members may attend up to three(3) Coffee & Commerce events to determine if the San Marcos Area Chamber of Commerce is a good fit for their business. After three times of attending this event, we ask that you join in order to continue in participating in these events.